(Newser) – In Chicago, Exelon Corporation powered Barack Obama's neighborhood. 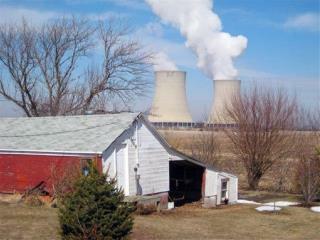 Now, in Washington, Obama's administration is powering Exelon. The company has a plethora of ties to the administration—it was co-founded by Rahm Emanuel and David Axelrod used to consult for it, among others—so it's had easy access to top officials, the New York Times reports. And in many cases that's paid off: It got a $600 million stimulus grant, for instance, and $646 million loan from the Treasury on favorable terms to build a huge solar project. Do you remember Bush giving cheney's Haliburton all those open end contracts for Iraq and Afghanstan. We are talking hundreds of billions of dollars.How about bush in 2006 giving Kellog-Brown and Root 385 million dollars to build internment camps threw out America. By the way Kellog-Brown and Root are owned by Haliburton. If flip-flop gets elected just think of all the incorporations he will have to pay back. Which is why I'll be voting for Gary Johnson for President this November. F*** all this nonsense. Live free.